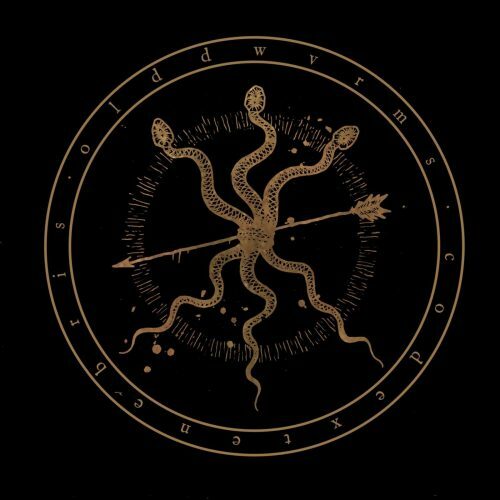 As the title of Oldd Wvrm‘s new album suggests, the music is an exploration of dark and obscure dimensions, dimensions that seem beyond the perception of a mundane mind grounded in what passes for “reality”. It carries our imaginations into a desolate and haunted dream world where shape-shifting avatars of misery dwell, in the company of wraiths that have lost their memories, and any path that might lead them to another, more welcoming, place. The album is composed of five unusually long tracks, and as might be expected of such extensive journeys, the feelings in the music change over their courses, revealing both moodiness and mounting tension, inconsolable grief and aimless anger, glimmering wistfulness and extravagant, even magisterial, anguish. The power (and volume) of the sound also ebbs and flows — dramatically, but fluidly — but never really shows you a way back to the waking world. 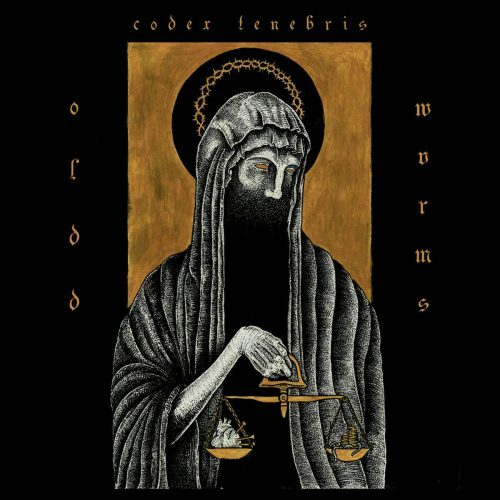 Codex Tenebris will soon be released (on February 15th) the Irish label Cursed Monk Records, but you won’t have to wait ’til then to become ensorceled by the album, because we have a full stream for you now. 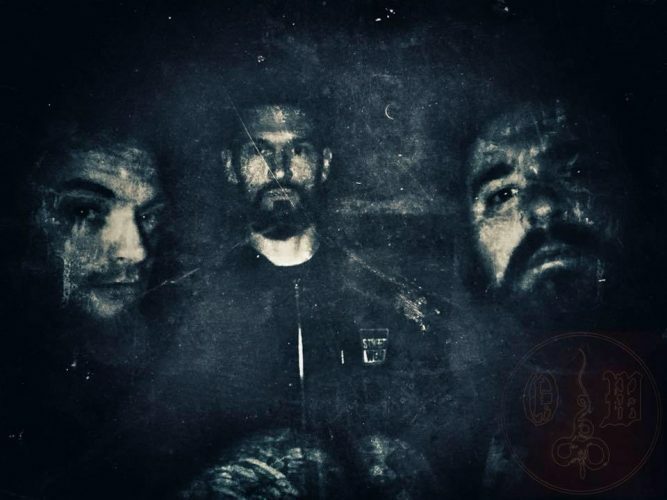 In their dark desires, this Belgian trio obviously have no interest in the mundane, but in mundane terms their music could be categorized as instrumental sludge/post-metal with an affinity for doom. In equally mundane terms, the spare ingredients could be listed: a heavy, gravel-throated bass that grumbles, often seems to be stoking the embers of its bitterness, and also becomes as angry as a caged beast; drumming that’s measured and methodical (but occasionally rambunctious and acrobatic) and cracks like gunfire; and a rich array of guitar tonalities, almost all of them reverberating in a way that enhances the music’s unearthly atmosphere — except when the chords come down like hammer blows. But there is no voice among these ingredients; save for a few almost unintelligible spoken words at the very end of the album, it’s entirely instrumental music. But you probably won’t miss human vocals; other chilling and disturbed voices seem to be speaking through the music itself. It’s also possible, again in the most mundane terms, to describe the band’s compositional techniques. They build the songs from relatively simple melodic motifs, and then use those as the basis for an array of variations, which shift the music’s mood and intensity without losing the thread of the foundational melodies. The emotional resonance of the music is penetrating; the effect is often hallucinatory; but another key ingredient, to which all the songs regularly return, is a physically arresting propulsiveness. That intwining of unsettling, gloom-shrouded, dream-like atmosphere and irresistibly head-nodding rhythms is a hallmark of the entire trip. And each track really is a trip, a changing path through unreal environs. In slow cadences, the sound can be inconsolably bleak. Spectral arpeggios ring out with an uneasy allure. Anguish and agitation build; buzzing guitars sound like hornets feeding on corpses. The melodies blare and ripple, moan and weep, and gleam like ghost lights in the mist. The music never loses its way — there are sure-handed guides behind these haunting tours — but it’s easy for a listener to get lost in such chilling but spellbinding journeys. I’ll highlight only two tracks, because they’re my favorites. The first is “Misère & Corde“, which sits in the middle of the album. It’s a fine example of the way in which the guitarist quickly establishes a simple but magnetic melody and then produces variations as the intensity of the music builds, and as the track changes from a head-nodder to a full-body-mover. All the core melodies across the album are magnetic, but “Misère & Corde” is the most immediately and persistently catchy. The second song I’ll highlight is the 15-minute closing piece, “Fléau est son âme“. Beautiful ethereal notes ring out against a glimmering backdrop. A big drum beat and bass rhythm join in… the music becomes massively heavier and more crushing, as well as more adamant and deranged. There’s a squalling solo that translates a feverish hopelessness into sound, and another solo with an Arabian accent (at least to my ears) that creates a mesmerizing effect. There’s also a giant head-moving sequence, followed by a more bruising and grim experience made of hammering chords and tumultuous drumming. (There’s finally a long ambient sequence to match the long one that opens the album, and it makes more sense if you listen to the record all the way through — as you should — rather than just picking out the track as I’ve done here).